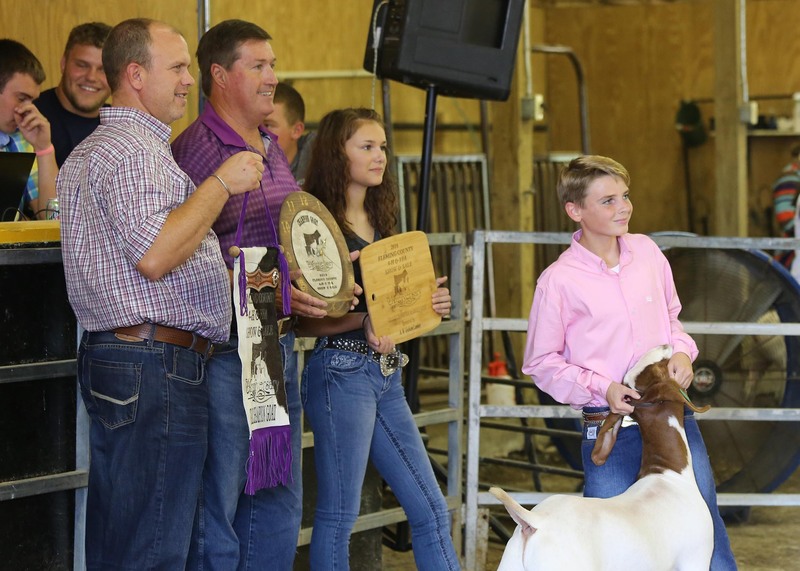 It isn’t that unusual to see youth livestock shows and auctions this time of year, as fair season comes to a close and students are looking to reap the benefits of a long summer of showing their animals. 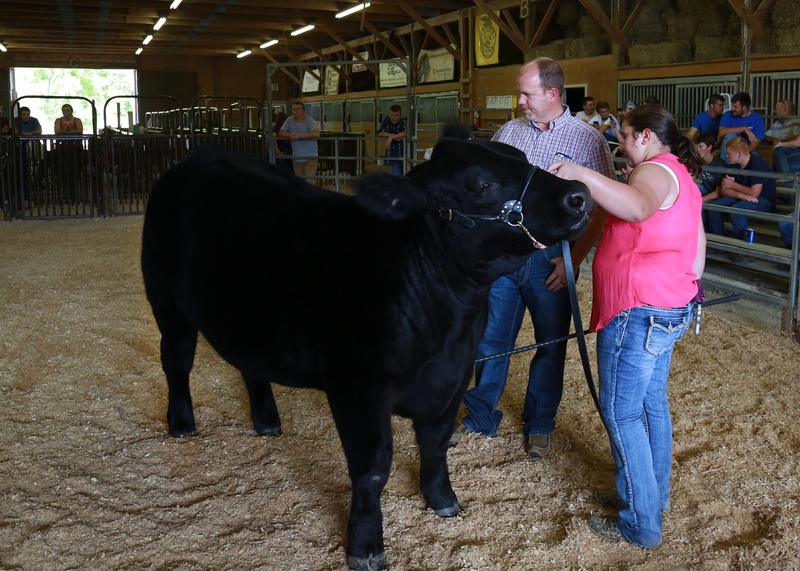 What is unusual is the fact that youth in Fleming County have been benefiting from their annual show and sale event for nearly four generations. The 75th Annual 4-H and FFA Livestock Show and Sale is most likely the oldest of its kind in the state, according to Wayne Grannis, agency manager of the Fleming County Farm Bureau, who helps coordinate the event. “We believe this is the longest continuously running show and sale in the state of Kentucky and, with 70 young people participating this year, we believe that is one of the largest numbers of participants of any county in the state,” he said. The show takes place at the FFA livestock and show barn located directly behind Fleming County High School and is truly a community-wide event. Grannis said much of the credit for the show’s longevity is directly related to the community support shown throughout the year for the students and their efforts. Grannis pointed out that one of the greatest things about the event is the participation of students whose parents and grandparents have also competed during their youth. Charles Cooper is a good example of someone who has participated in the show and has passed it down to his children and grandchildren. Mary Jane Pettit, is one of the daughters Cooper referred to. She said 1987 was the first year in which she participated and she continued until 1996. 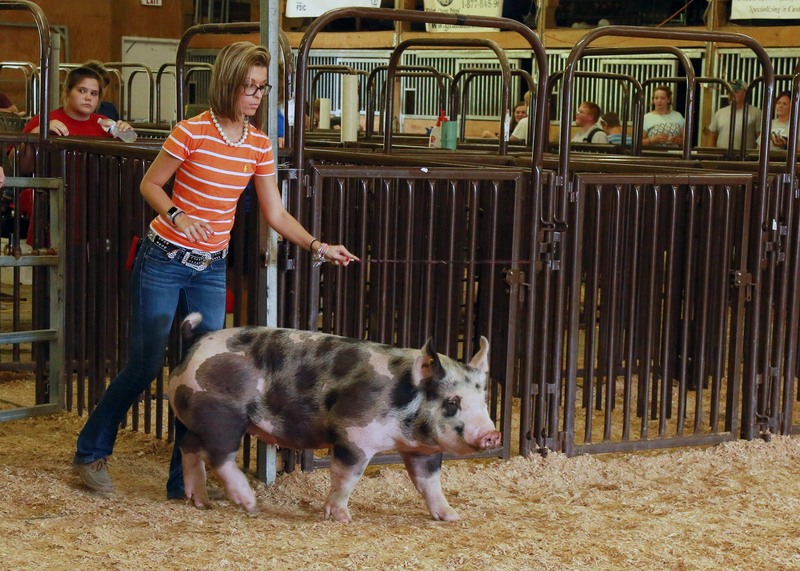 Pettit’s daughter, Laura Ann participated officially for the first time at this year’s show. She said it’s something she has thought about all year long. Laura Ann added that it was a little sad to know she would be selling her show animals but she knows that’s part of animal agriculture. Incidentally, she won the Champion Steer class. Serving as ring announcer for the 2016 show was Fleming County FFA Chapter President A.K. Philips, who has participated in this event and others across the country. In fact, his steer was named this year’s Grand Champion at the Kentucky State Fair. Lucinda Pease is an agriculture education instructor at Fleming County High School as well as a member of the current Kentucky Farm Bureau LEAD (Leadership Enhancement for Agricultural Development) program. She said the show is an ongoing project for her. “As the animal science instructor it’s up to me to get the barn area ready for the sale but we use the show ring other times of the year to teach students, especially those who want to get a start in it,” she said. In addition to teaching students how to prepare for the show, Pease said a lot of work goes on afterwards to make sure this event is the best it can be and that it will continue to be. The Fleming County Livestock Improvement Association, which serves as the committee that plans the event, is comprised of ag teachers, 4-H extension staff and other community partners that have a vested interest in the show. Members meet afterwards and throughout the year to evaluate the event and discuss any changes that might need to be made. 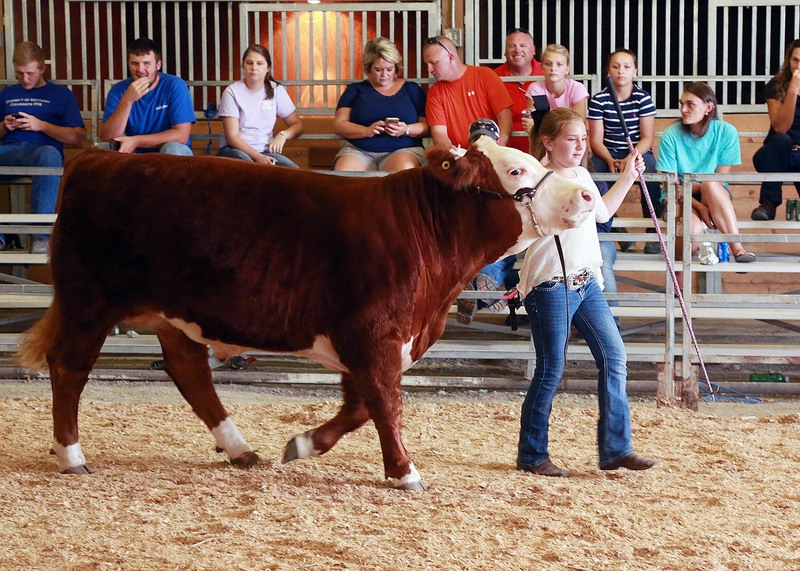 While the Annual 4-H and FFA Livestock Show and Sale in Fleming County takes place in September, the work that goes into to this long-time event never really stops, noted Pease. “Without our community’s help, this wouldn’t be possible and we have a great asset in our community that supports these students,” she added. This year’s gross sales totaled approximately $ 60,000, all of which came exclusively from the Fleming County businesses.